Play the FREE Thunderstruck 2 Pokies Machine Here. Thunderstruck 2 is another one of the most loved and successful pokies of all time from Microgaming. It was released in 2010 following the success of its predecessor, the original Thunderstruck slot. It is an enhanced version of the original game featuring 5 reels and 243 ways to win. More so, Thunderstruck 2 features four different but highly rewarding bonus events that can give you a chance of winning up to 2.4 million coins. It has nice sounds and graphics that are well balanced with the dynamic game play that it features. This slot game has a much more detailed theme as well as striking graphics compared to its predecessor. During game play, you will encounter symbols of various Nordic gods including Valkyrie, Loki, Thor and Odin. Other symbols in this game include the Thunderstruck 2 logo, Thor’s hammer which is the bonus symbol, Thor’s home and the ship. There are also generic poker symbols in the game. Another interesting thing about this game is the fact that it can memorize your gameplay. There is a bar that measures your progress and allows you to pick up where you left off. The following are the special features in Thunderstruck 2 online video slot. Thunderstruck Logo: This is the wild symbol in this game. It can substitute for all other symbols in the game to form winning combinations except for the Thor’s hammer symbol. During the Wild Storm feature that is triggered randomly, the wild symbol will not apply. The Great Hall Of Spins Feature: This feature is activated when three or more Thor hammer symbols appear anywhere on the reels. It is comprised of free spins with a multi-level element. There are four levels to the bonus feature that can be triggered when you get into the bonus round of the game a certain number of times. Valkyrie Bonus: This feature is triggered on your 1st to 4th feature triggers. You will be rewarded with ten free spins and all wins will be multiplied by 5. 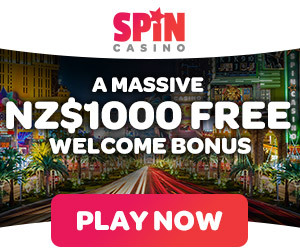 If you are lucky, you can retrigger more free spins. Loki Bonus: This bonus is available from the 5th to 9th feature triggers. It rewards you up to 15 free spins with the wild magic feature. Odin Bonus: This bonus will be activated between the 10th and 14th triggers. You will be rewarded with 20 free spins with the wild raven feature. The raven will turn symbols into 2 times and three times multipliers randomly. If you get two raven symbols, you benefit from a 6 times multiplier. Thor Bonus: The Thor bonus is available from the 15th trigger onwards. It will reward you with 25 free spins with the rolling reels feature. If you get consecutive winning spins, the multiplier will be increased from 2x all the way to 5x. You can play this slot with the minimum coin size of 0.01 and maximum coin size of 0.25 for each bet range. The maximum that you can bet per spin is 300 coins. The game has a jackpot of 1000 coins. There is an auto play optiom that you can set to play game automatically without being confined in front of your computer or tablet. Thunderstruck 2 is a well-balanced medium variance online pokie that has the potential of giving you some really huge wins. You should look for the Thor feature because the rolling reels have the ability to give you a very huge return. Google + Profile: Tina Lim on September 13, 2016. on September 14, 2016.